To celebrate the often unsung work of farming communities, an international NGO Access Agriculture showcases a number agricultural training videos in different local languages. Access Agriculture is a global leader enabling South-South exchange of and access to quality materials to secure sustainable livelihoods of smallholder farmers and users of natural resources. Resourses shared by Access Agriculture tell vital first-hand stories, challenges and successes of different communities of practice, - to help you gain a better understanding of the problems experienced and enable to get the best solutions from the successful practices shared. Access Agriculture is a useful platform for farmers, policy makers, Agricultural Research and Development (R&D) staff, service providers, extension agents, communication professionals and representatives of farmer organisations. Agricultural advisory services in developing countries face many challenges, one of which is to respond meaningfully to farmers’ diverse demands for advice on crop, livestock, fish, processing, business, finance and marketing issues. With limited resources advisors struggle to reach the millions of farmers. In 2012, two media companies, Agro-Insight (Belgium) and Countrywise Communication (UK), joined hands to set up the international NGO - Access Agriculture (registered in Kenya), with the aim to promote the sharing and use of agricultural training videos in developing countries. The main financial support has come from the Swiss Agency for Development and Cooperation (SDC) with helpful advice from many other national and international partners and sponsors. Develop local language versions of, and disseminate agricultural training videos, in collaboration with 200+ communication professionals across the globe. All videos (distributed into 14 Access Agriculture categories*) are designed to support sustainable agriculture in developing countries. Downloads are free, but you will have to register and provide your contact details. Facilitate and build capacity for the production and translation of quality farmer-to-farmer training videos into local languages. Improve access of youth, women, smallholder and marginalised farmers and users of natural resources to relevant knowledge through networks, partnerships, appropriate information and communication technologies and feedback mechanisms. Help improve rural advisory services and agricultural education systems, help them value farmers’ knowledge and innovations, and encourage joint learning on sustainable agriculture and natural resource management. # "This is the best and largest online agriculture training video library that is in many languages, and we have had great impact in our agriculture work using these videos”, - Sean Granville-Ross, Country Director, Mercy Corps Uganda. You can contact Access Agriculture for translations into other local languages that are not yet listed. GFAR has recently commissioned a series of short videos telling the farmers’ stories in their own words. The first video released is entitled Farmers’ Rights to Seed. In it, farmers in Malawi relate first-hand their challenges and successes as guardians of crop seed and the breeders of new varieties. The videos are being produced by Partner in GFAR Agro-Insight with funding from the GFAR Secretariat, and are available in English, French, Bangla and two Malawian languages (Chichewa and Tumbuka), with more translations planned. Read the blog post about this release. 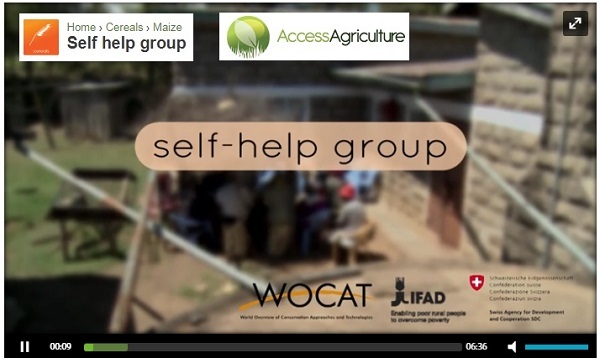 We encourage you to share Access Agriculture videos widely through your networks. You can also explore Agtube - social media for rural people. Just register, activate the account and start uploading your videos from mobile, tablet or computer. Here anyone can upload a video related to agriculture as long as it keeps to the basic guidelines for submitting videos to Agtube. In the Impact section of the website, you will find information and stories about how others have used videos with farmers, we hope these will inspire you to share the videos. More than 70% of Africa’s population depends on subsistence agriculture for food, jobs and income. The continent has immense potential to feed itself and the world – it’s home to over 60% of the world’s uncultivated arable land. But this potential isn’t being realised. Africa is a net food importer. Imports are expected to increase from USD$39 billion in 2016 to over USD$110 billion by 2025. Food production is desperately low in the region. This is largely because of poorly developed farming technologies which drive rain fed farming practices. On top of this is the fact that there are poorly developed climate and weather alert systems to help farmers plan for crop seasons and adopt better ways of farming.